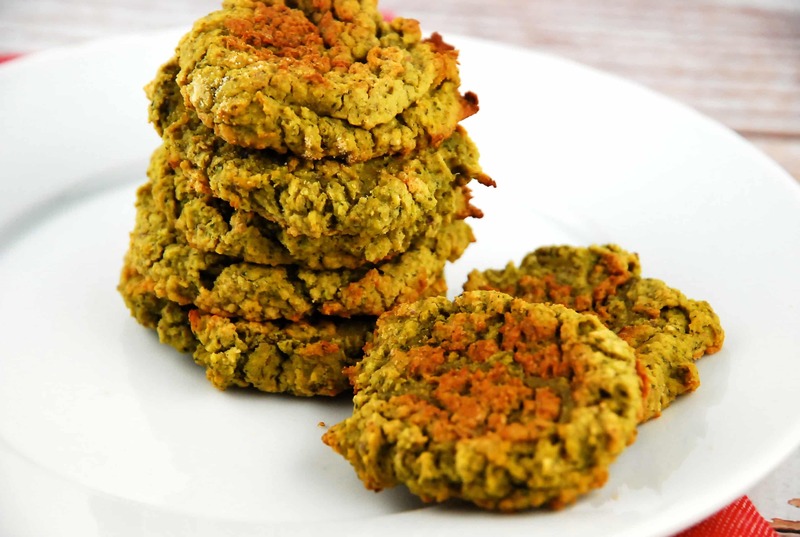 I truly believe that this Baked Falafel Recipe is actually much better than the traditional fried version. The flavors from the spices and fresh parsley and cilantro are bright and bold, and the garbanzo beans are thick and meaty. The outside is crisped to perfection, and the inside is soft and creamy. Topped with homemade tahini sauce and fresh cucumber salad, and stuffed into a whole pita, it’s one seriously satisfying meal. You can even skip the pita, and serve the falafel and on top of a big salad. With lots of protein, fiber, and flavor, this healthy homemade falafel recipe is an excellent one to try this New Year. Enjoy! With a crispy outside, and a soft, tender inside, these homemade falafel are heavenly. Drizzled with fresh-made tahini sauce and topped with fresh veggies, it’s a perfect Weight Watchers Vegan recipe. In a food processor, combine the garbanzo beans, onion, garlic, parsley, cilantro. Pulse until well combined and chopped, but still a little chunky. Don’t over process! It will become too runny. Transfer to a bowl, and add remaining ingredients. Mix well. Scoop out about 2 tbsp of the mixture to form each falafel patty. You should be able to make a total of 16. Place on a plate, then cover and refrigerate for 1 hour. Preheat oven to 400 degrees. Line a large baking sheet with parchment paper, and mist with cooking spray. Transfer falafel patties to baking sheet, and mist them lightly with cooking spray. Place in oven and bake for about 20 minutes, then carefully flip. Return to oven and bake another 15 minutes or so until patties are browned and firm. While falafel is baking, mix ingredients for tahini in a small bowl. Add the water tablespoon by tablespoon, mixing well in between, in order to get the right consistency. Let falafel cool for about 5 minutes, then place two in each pita half, and top with tahini and optional cucumber salad. What would the points be without the pita? I would prefer to have them with salad and the tahini sauce. I made these tonight and they were excellent! The cucumber salad went with it very well; just added some greek seasoning and 2 T non fat greek yogurt. I’ll be making this again! Thanks. Yes! Love falafel!! Can’t wait to try this! This is an awesome recipe. Easy and delicious. My husband and I loved it.